Blueberries straight from the pint—does it get much better? Oh, it does. We partnered with the U.S. Highbush Blueberry Council to share simple, flavorful recipes that are sweet, savory, and everything in between. Here, our Senior Staff Writer and Food Stylist Sarah tells us her formula to combat homesickness: rice pudding + blueberries. When you are ten years old, your sister refers to her trip back to college as "going home" and your heart endures a hairline fracture. Unimaginable. But the first time you call the new place home, it slips out of your mouth like a piece of sashimi. You slurp the word up as soon as it comes out and hope that no one notices. You say a prayer that you are not in earshot of your parents. You feel guilty for your disloyalty. You are a traitor when old names no longer conjure faces. You eat olives and capers and anchovies and raw fish and other unthinkables you used to shove away. You walk around a big city and pretend to know your way even when you are sweaty and lost. You forget what it's like to sleep in your childhood bed. You make fun of your parents and their habits even though you wish you were still small enough to hug their legs, to reach up to grab a blueberry from their palms. At least the rice pudding is a time capsule—a recipe that will exist on your mom's 3-by-5 in the acrylic box post-apocalypse. It's less complicated than anything you cook these days—no smoky spices or unusual "dairy" products or bain marie. It's pleasantly eggy and perfectly simple—all light and warmth, a knitted Afghan of a food. You'll add a black sesame crumble with tahini and some macerated blueberries (that is: blueberries tossed with sugar and left to sit) because you can't un-learn the things you've learned—even when you know this uppity tweak will make your parents roll their eyes. Still, the taste makes you think of your kitchen table. It tastes good despite the tear-ball that's surging in your throat. The rice pudding. Eat the rice pudding. Put on the White Album, eat some rice pudding, and have a good cry. 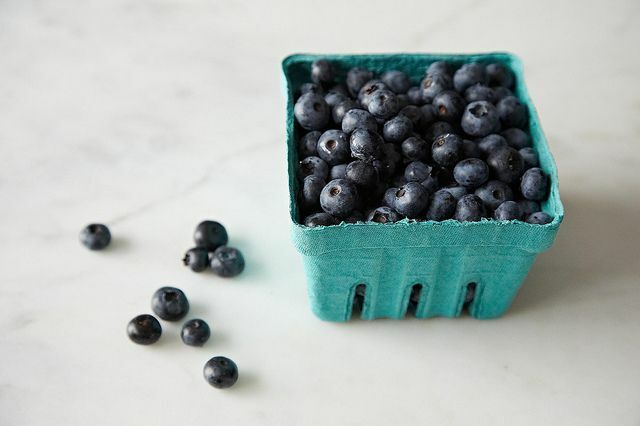 We partnered with the U.S. Highbush Blueberry Council to bring you a slew of simple, flavorful recipes you can pop blueberries into easy-peasy. No time to make sesame crumble or macerate blueberries? 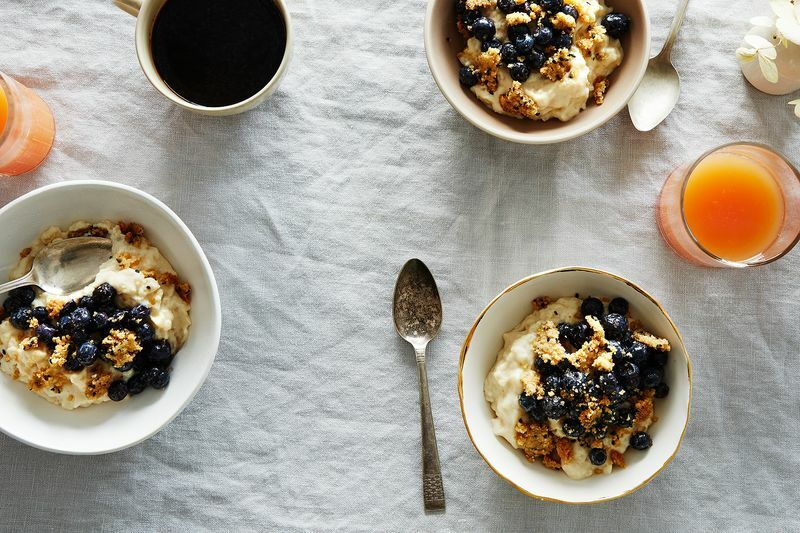 Just skip the crumble and use fresh blueberries instead. 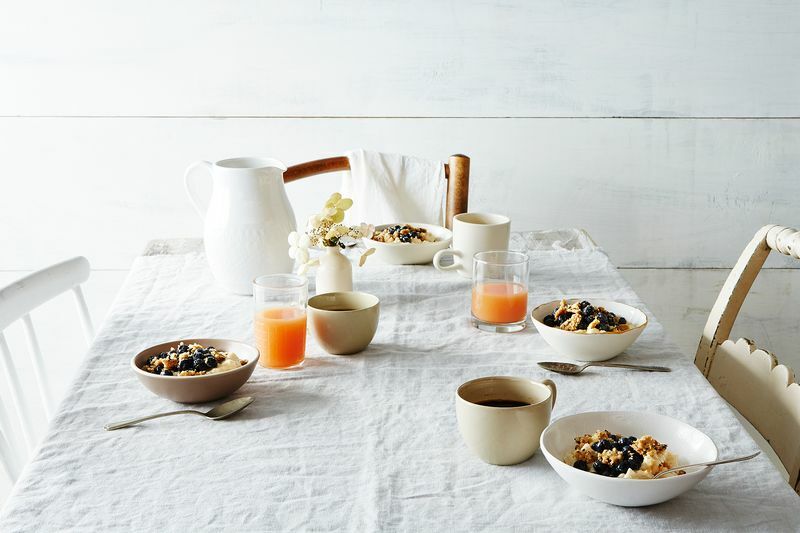 Get more recipes, ideas, and tips for blueberries here. haven;t tried the recipe yet, but the article is Wonderfully written, and the food beautifully photographed... but next time, get someone to iron the tablecloth. Oh please don't (iron the tablecloth)! That is what linen is supposed to look like. I love this (and the recipe) infinite amounts. I'm lucky--I see my 80 year old mother every Sunday, and she always makes me breakfast when I come over. I've never felt homesick, because I have two homes. But I know there will come a time when she's no longer able to scold me about my clothes, or make me my favorite food for my birthday. Then I'll really be feeling that tear ball. So much to love about this, Sarah. i seem to have developed that back-of-the-throat tear-ball while reading this. If you can't eat this rice pudding for dessert, breakfast, lunch, dessert, then breakfast again—like I tried to—the extra crumble is delightful on yogurt. I ate bowls of this rice pudding the week we made it to shoot it—and it made everything okay.